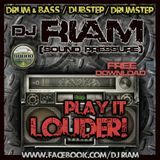 DJ RIAM - Play it louder! Barcelona (1984). 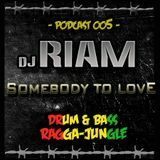 In 2004 he decided to form the collective BiS.TeK SOUND SYSTEM. 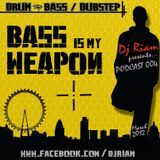 Four years later (2008) decided to form the collective SOUND PRESSURE LEVEL to continue throwing parties in clubs focused towards the world of Drum & Bass. He&apos;s one of the responsible to make INPUT CLUB one of the most prestigious halls of the scene with big-name festivals both nationally and internationally. 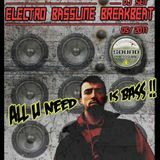 He has worked as a promoter of events for different events with lots of international Dj&apos;s.
It has now completed his studies of Audio Enginyering and is devoting most of the time producing.